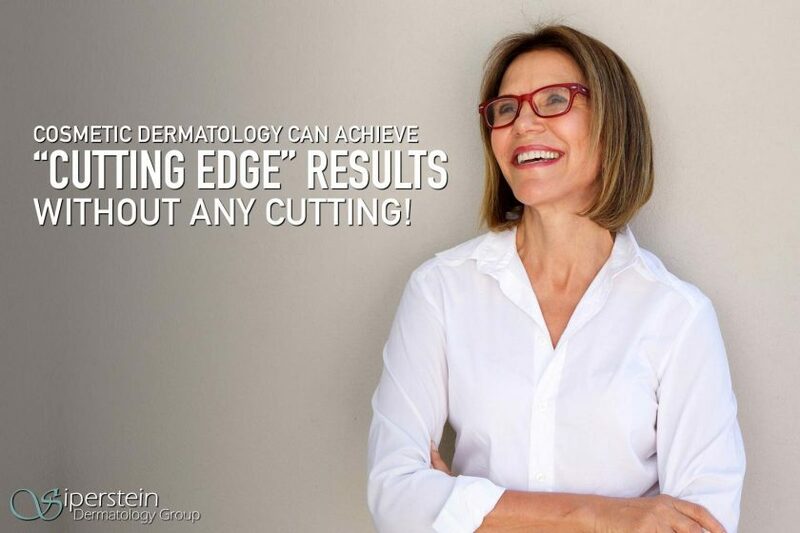 Siperstein Dermatology Group has always been on the “cutting edge,”offering the latest advancements in cosmetic dermatology to keep patients looking and feeling their best. According to Dr. Robyn Siperstein, founder of the practice that focuses on delivering the highest-level of patient care, “this year has been particularly exciting, as we have been able to offer a number of new treatments to our patients, including CoolSculpting and Secret RF Microneedling with Radio Frequency. 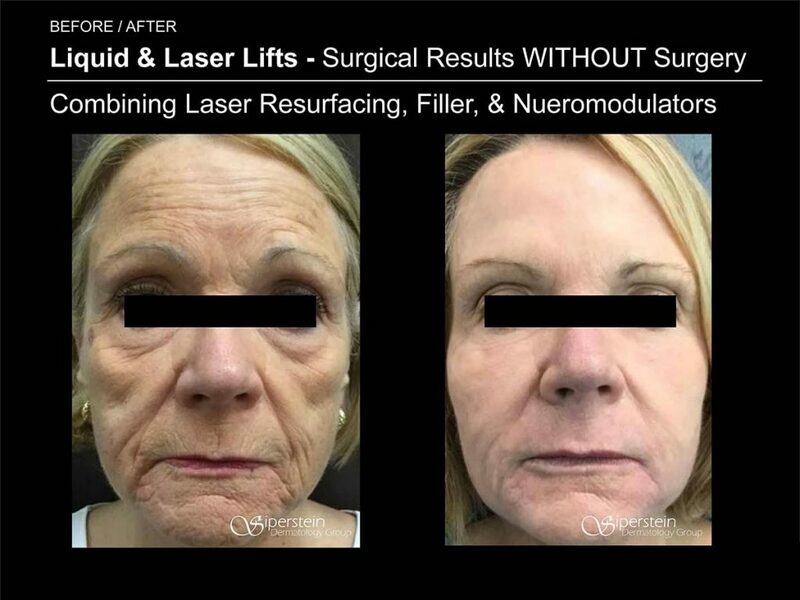 We are also continuing to provide unparalleled results with minimal downtime with BBL photofacials.” With two locations in Boca Raton and Boynton Beach, Siperstein Dermatology Group’s growth and success can be attributed to our hyper-focus on customer service and putting the patient first from the moment they walk through the door to the moment they leave. According Dr. Siperstein, “I have personally tried every major body contouring device on the market and with CoolSculpting, I achieved the most noticeable results.” This non-surgical procedure can freeze away your fat safely and effectively. In South Florida, wearing a bikini is not just for the summer months, so this device has become extremely popular for those common “problem areas” include the flank/hips, also known as love handles, stomach, arms, inner and outer thighs, under the buttocks, and even the double chin. Once the treated fat cells are frozen, they crystalize and your body eliminates the dead cells. Once the treated fat cells are gone, they will be gone for good. Recently, CoolSculpting was approved by the FDA as the only device that can both remove fat under the chin and also cause skin tightening. One of the best parts about CoolSculpting is that there is no downtime, so you can resume your normal activities immediately! At Siperstein Dermatology Group we are proud to offer the brand-new CoolAdvantage applicator, which delivers quicker results at lower temperatures, reducing the treatment time nearly in half. In addition, our office is one of a few to offer DualSculpting, which allows for treatment of two areas simultaneously, making the procedure even more convenient for patients. Anyone frustrated by persistent wrinkles around the mouth, cheeks and eyes will be excited to hear about the newest addition to our practice – the Secret RF Microneedling with Radio Frequency (RF). Microneedling is one of the most popular new skin treatments on the market, and we are thrilled to offer Secret RF, the latest technology backed by one of the most renowned laser companies. This radio frequency fractional microneedling system delivers tailored energy to improve fine lines, wrinkles and scars with minimal downtime. Very fine needles make tiny, temporary holes in the skin that are not visible to the naked eye. Secret RF’s microneedles deliver radio frequency heat energy through these holes to induce collagen regeneration with minimal trauma to the skin surface. Additionally, collagen is produced during the healing process, for tighter, softer skin. New devices, such as the Secret RF Microneedling machine, can deliver heat directly to the deeper dermis, where the collagen is located. This more directed treatment improves results, lessens the downtime required for healing, and enhances safety. In Florida, we are all constantly battling the damaging UV rays that cause those pesky brown spots. Dr. Siperstein states “I recommend BBL photofacials to all of my patients who want to age in reverse! 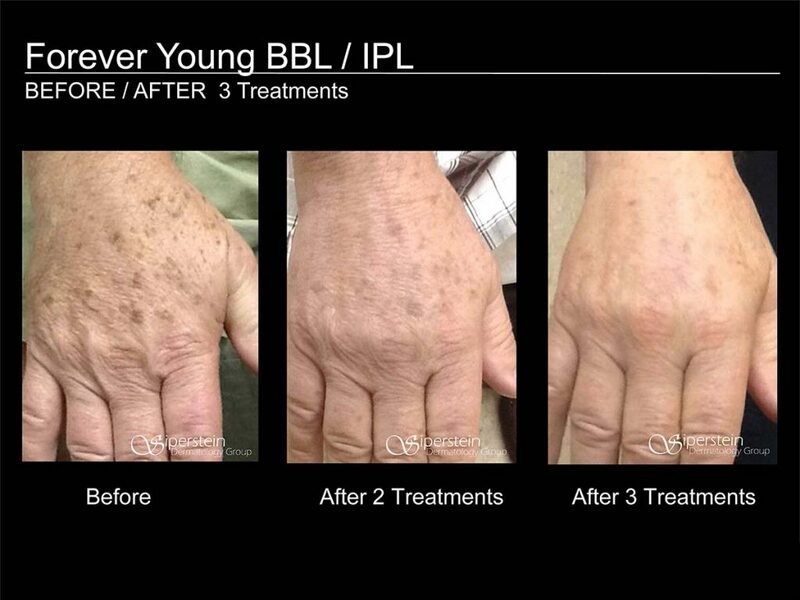 Many of my patients do not realize the difference that we can make on their appearance simply by removing brown spots, and over time, this treatment can also build collagen.” Broadband light (BBL), otherwise known as intense pulsed light (IPL), uses a range of light wavelengths to treat sun damage.Certain light wavelengths interact with different colored targets in the skin,such as red or brown. This treatment can treat sun spots/brown spots and broken blood vessels on all body areas such as the face,neck, chest, arms and hands. In addition to treating brown and red spots, BBL energy stimulates new collagen formation by gently heating the upper layers of skin, giving the skin a firmer, smoother appearance. A study from Stanford University showed that repeated treatments, even after obvious damage has been corrected, continue to rejuvenate skin by changing the expression patterns of aging skin cells to young ones. The downtime from this treatment is minimal and the results are lasting. At Siperstein Dermatology Group we offer 7 Board-Certified Dermatologists trained at the nation’s top schools, including Yale, Cornell, NYU and Columbia. We pride ourselves on delivering top-notch care for all dermatological needs, from medical to cosmetic. Give us a call at 561-364-7774 to make an appointment at one of our two state-of-the art locations in Boca Raton or Boynton Beach, FL.